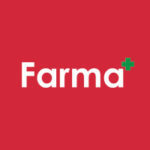 The industry’s most well-known cannabis directory, Leafly, has chosen Farma as one of their Top 10 Most Beautiful Dispensaries in America! We are honored to be featured alongside such beautiful spaces—from the rustic and historic, to the sleek and ultra-futuristic—from coast to coast across this great green country. Thank you so much to Leafly for this amazing honor; we are ecstatic to be listed among such esteemed company.